Top Rated Local® is pleased to announce that Condray & Young Landscape and Professional Groundskeeping is a 2019 award winner for landscapers in Kansas! Keep your landscape looking beautiful with the help of the professionals at Condray & Young Landscape and Professional Groundskeeping in Topeka. Cordray & Young Landscape and Professional Groundskeeping has received dozens of reviews on multiple verified sites with an average rating of 4.81 stars, earning them a spectacular Rating Score™ of 92.11 and a 2019 Top Rated Local award for ranking among the top 10 landscapers in all of Kansas! “The service exceeded my expectations. My lawn evaluation was very informative, and I received a menu on my quote where I could select the level of service that was best for me and the lawn. The service tech not only stopped the first treatment to introduce himself, he took the time to explain everything and follow up with an email. I would highly recommend this team to anyone looking for yard and lawn services.” – Leonard M.
Matt Young, the co-owner of Condray & Young, generously gave us a few minutes of his time to tell us about his award-winning business and its phenomenal online reputation. We also wanted to know what their mission is at Condray & Young and how they work to make the world a better place. Matt shared with us that their mission is simply to provide quality service for people, and to do so at a fair price. Matt attributes Condray & Young’s strong online reputation to the fact that they ask for reviews on every invoice, and they also do internal surveys throughout the year. Outside of building a powerful online reputation, Condray & Young has gotten their name out there through email marketing and word-of-mouth referrals. Congratulations to the team at Condray & Young Landscape and Professional Groundskeeping for being a 2019 Top Rated Local award winner, and thank you so much, Matt, for taking the time to speak with us! We highly recommend Condray & Young Landscape and Professional Groundskeeping in Topeka. Visit their website today! Top Rated Local® is pleased to announce that Natural Escapes Landscapes & Maintenance is an award winner for landscapers in 2019. If you are looking for a landscaper that will transform your backyard into your own personal oasis, look no further than this award-winning company! Natural Escapes Landscapes & Maintenance has received many overwhelmingly positive reviews across multiple verified sites with an average rating of 4.80 stars, earning them an impressive Rating Score™ of 92.00 and a 2019 Top Rated Local award for ranking as one of the top 10 landscapers in North Carolina! “Corey came out and gave us a competitive estimate and was ready within a day we wanted the work done!! He was very professional and knowledgeable. I would recommend this company for all your landscaping needs!” – T.R. It is because of excellent reviews like this that Natural Escapes Landscapes & Maintenance is now able to call themselves a Top Rated Local award winner! We were excited to learn all about how Natural Escapes Landscapes & Maintenance has been able to build such an impressive reputation, so we sat down with the owner, Corey Ewert. The first thing we wanted to know was what it is that makes Natural Escapes Landscapes & Maintenance stand apart from their local competitors. We learned that not only are they a one-stop shop that offers water features, lighting, pergolas, decks, and maintenance, but they also use natural products and promote more craftsmanship than prefab. They know the land, and choose to plant things that will be successful in the area, and that will look good all year round. 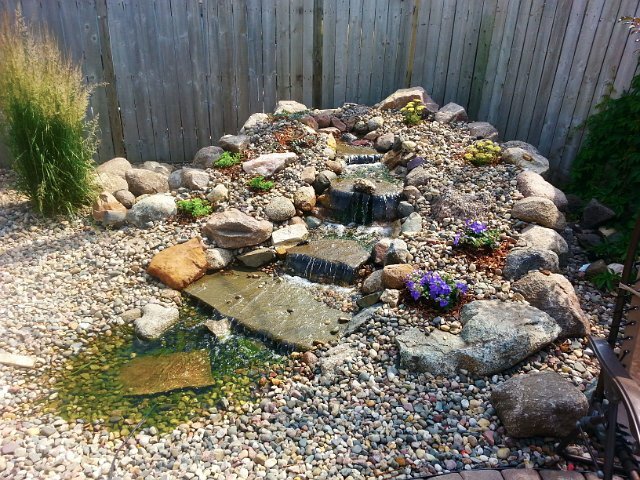 Corey shared with us that it is possible to turn your backyard into a personal oasis, and that they can help you get there. Natural Escapes Landscapes & Maintenance believes in putting the customers’ needs first. They do a lot of custom landscaping, and hope that the customers’ expectations are exceeded. As a means of promoting customer satisfaction, they always do follow-ups, and will return to a worksite if the customer is not happy. If a customer refers a new client to them, they have been known to send that customer a gift card, or throw in an extra shrub or tree as a thank you. Congratulations to Natural Escapes Landscapes & Maintenance for being a 2019 Top Rated Local award winner, and special thanks to Corey for taking the time to speak with us! 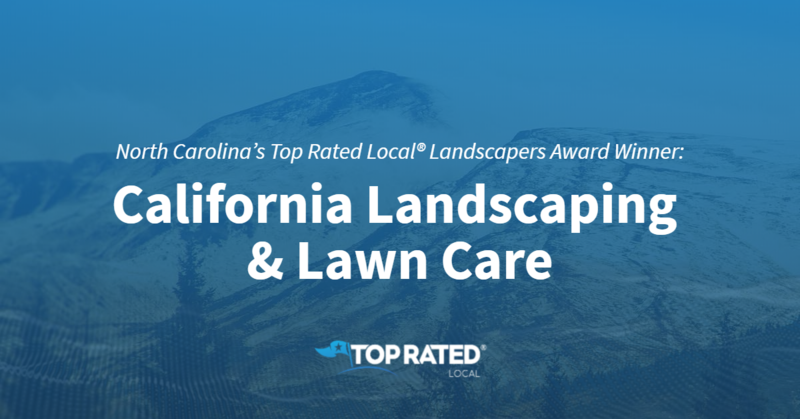 Top Rated Local® is pleased to announce that California Landscaping & Lawn Care is a 2019 award winner for landscapers in North Carolina! When you want a landscape that’s the envy of the neighborhood, there’s only one company to turn to in Winston — California Landscaping & Lawn Care. California Landscaping & Lawn Care has received dozens of reviews on four verified sites with an average rating of 4.93 stars, earning them a phenomenal Rating Score™ of 97.34 and a 2019 Top Rated Local award for ranking among the top 10 landscapers in all of North Carolina! “I can’t say enough good things about Rafael and his work. From lawn maintenance to tree and shrub removal, his work has been immaculate. His services are cost-effective, on time and extremely reliable. If you are looking for any type of regular lawn care or even small landscaping projects, California Landscaping is the way to go.” – Nicholas H.
Rafael Barbosa, the owner of California Landscaping & Lawn Care, generously gave us a few minutes of his time to tell us about his award-winning business and its outstanding online reputation. The first question we had for Rafael was what sets California Landscaping & Lawn Care apart from their competition in North Carolina. Rafael points to their commitment to honesty and told us that they always make it a point to educate their clients about their options. We also wanted to know what Rafael’s goals are for California Landscaping & Lawn Care. He told that his aim is to grow and make the California Landscaping & Lawn Care name stand out and become a name brand. When we asked Rafael how California Landscaping & Lawn Care makes a difference and makes the world a better place, he told us that they provide free lawn care services for several veterans and seniors in their community. Rafael attributes California Landscaping & Lawn Care’s strong online reputation to their commitment to caring for their customers and making each of them feel special as individuals. Outside of building a powerful online reputation, California Landscaping & Lawn Care spreads the word about who they are and what they do by walking around neighborhoods and handing out cards. Congratulations to the team at California Landscaping & Lawn Care for being a 2019 Top Rated Local award winner, and thank you so much, Rafael, for taking the time to speak with us! We highly recommend California Landscaping & Lawn Care in Winston. Visit their website today! 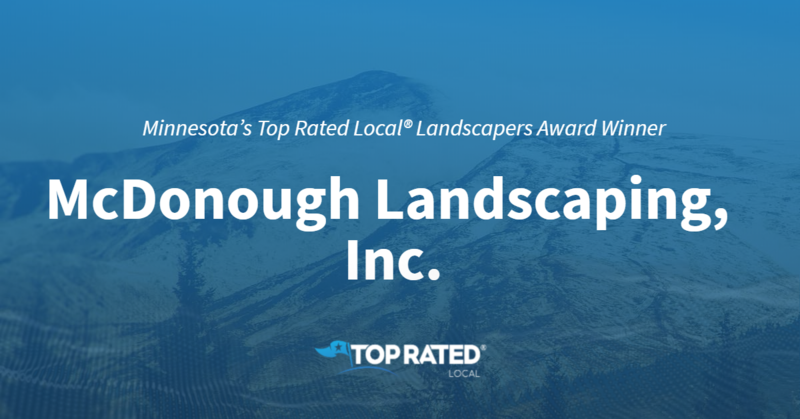 Minnesota’s Top Rated Local® Landscapers Award Winner: McDonough Landscaping, Inc.
Top Rated Local® is pleased to announce that McDonough Landscaping, Inc. is an award winner for landscapers in 2019. If you are ready to have the nicest yard on the block, look no further than this award-winning company! McDonough Landscaping, Inc. has received many overwhelmingly positive reviews across four different verified sites with an average rating of 4.73 stars, earning them an impressive Rating Score™ of 95.30 and a 2019 Top Rated Local award for ranking as one of the top 10 landscapers in Minnesota! “I can’t say enough good things about this company. Their service, professionalism, ability to follow through on commitments, and quality of work are amazing. 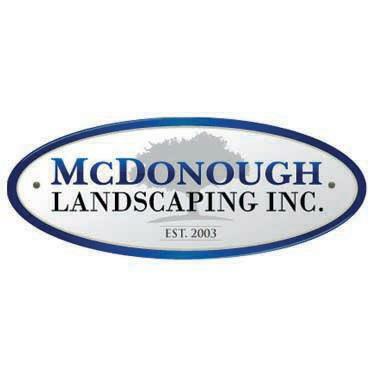 I highly recommend McDonough if you want the job done right, at a fair price, [and] with people you can trust. I am so happy!!! Thank you, Matt and crew!” – N.T. It is because of excellent reviews like this that McDonough Landscaping, Inc. is now able to call themselves a Top Rated Local award winner! We were excited to learn all about how McDonough Landscaping, Inc. has been able to build such an impressive reputation, so we sat down with the owner, Matt Mcdonough. The first thing we wanted to know was what it is that makes McDonough Landscaping, Inc. stand apart from their local competitors. Matt believes that their competitive advantage comes from their employees. McDonough Landscaping, Inc. has managed to create an impressive reputation, so we were excited to hear more about some of the ways their business has been marketed over the years. We learned that they have a presence on social media platforms, like Facebook. They have also utilized Google Adwords and email newsletters. Congratulations to McDonough Landscaping, Inc. for being a 2019 Top Rated Local award winner, and special thanks to Matt for taking the time to speak with us! Top Rated Local® is pleased to announce that Granberg Landscaping and Concrete LLC is a 2019 award winner for landscapers in South Dakota! When it comes to landscaping in Harrisburg, no other company beats Granberg Landscaping and Concrete LLC. 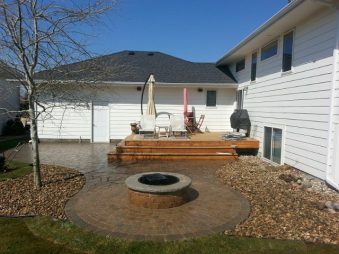 Granberg Landscaping and Concrete has received dozens of reviews on multiple verified sites with an average rating of 4.86 stars, earning them a spectacular Rating Score™ of 88.56 and a 2019 Top Rated Local award for ranking among the top 10 landscapers in all of South Dakota! “We are so impressed with the professionalism and the high-quality work that Jason and his team delivered. We put a pool in our backyard last year and worked with Jason to finish the landscaping. He took our basic ideas and turned them into a masterpiece. He truly has a gift for what he does and worked with us to create a perfect setting. Once they got started, Jason and his team worked long hours to get our project completed in a short amount of time. We LOVE our completed backyard oasis. It’s better than we ever could have imagined. Thanks so much! !” – Paige A. In order to learn a little more about this one-of-a-kind landscaping company and its outstanding online reputation, we took a few minutes to talk with Jason Granberg, the owner and operator of Granberg Landscaping and Concrete. Outside of building a powerful online reputation, Granberg Landscaping and Concrete has gotten their name out there through Facebook and word of mouth. Congratulations to the team at Granberg Landscaping and Concrete LLC for being a 2019 Top Rated Local award winner, and thank you so much, Jason, for taking the time to speak with us! We highly recommend Jason and his team at Granberg Landscaping and Concrete in Harrisburg. Visit them online today! Top Rated Local® is pleased to announce that Oakridge Nursery & Landscaping is a 2019 award winner for landscapers in South Dakota! 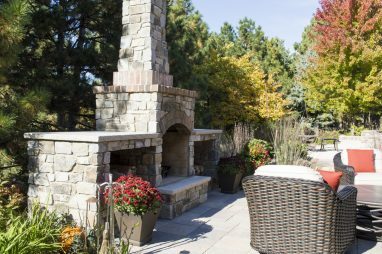 Take your outdoor space to the next level by relying on the team at Oakridge Nursery & Landscaping in Brandon. Oakridge Nursery & Landscaping has received dozens of reviews on three verified sites with an average rating of 4.71 stars, earning them a phenomenal Rating Score™ of 93.05 and a 2019 Top Rated Local award for ranking among the top 10 landscapers in all of South Dakota! “We were extremely pleased with all of the work they did. They’re great at design and the finished project. They have done two projects for us, and I would highly recommend to anyone that needs landscaping work done.” – Joann L.
Daemon Coughlin, the co-owner of Oakridge Nursery & Landscaping, generously gave us a few minutes of his time to tell us a little bit about his award-winning business and its impressive online reputation. To kick start out conversation, we asked Daemon what it is that sets Oakridge Nursery & Landscaping apart from their competition in South Dakota. He points to the unique items they sell, the good knowledge they have about what they sell and their commitment to customer service. Outside of building a powerful online reputation, Oakridge Nursery & Landscaping has gotten their name out there through print and radio ads, as well as through word of mouth. Congratulations to the team at Oakridge Nursery & Landscaping for being a 2019 Top Rated Local award winner, and thank you so much, Daemon, for taking the time to speak with us! We highly recommend Oakridge Nursery & Landscaping in Brandon. Visit their website today! Top Rated Local® is pleased to announce that Timberland Outdoor Services is a 2019 award winner! This and so many other phenomenal reviews give Timberland Outdoor Services a 96.63 Rating Score™, a 4.76 average star rating, and a spot among the top 10 landscapers in the entire state of Minnesota! Shasta Frandrup, the President and Founder of Timberland Outdoor Services, took a few minutes to chat with us about the business’ exemplary online reputation. In Shasta’s eyes, the Timberland Outdoor Services secret to success can be credited to the team’s honesty. “We do what we say we’re going to do when we say we’re going to do it,” he said. Congratulations to the team at Timberland Outdoor Services for being a 2019 Top Rated Local award winner, and thank you so much, Shasta, for taking the time to speak with us! Top Rated Local® is pleased to announce that 3 Bears Landscaping is a 2019 award winner for landscapers in Minnesota! When you need professional landscaping services in Minneapolis, there’s no better company to work with than 3 Bears Landscaping. 3 Bears Landscaping has received almost 100 reviews on four verified sites with an average rating of 4.92 stars, earning them a spectacular Rating Score™ of 98.22 and a 2019 Top Rated Local award for ranking among the top 10 landscapers in all of Minnesota! 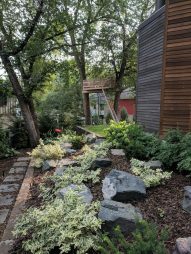 “The 3 Bears team installed a lovely patio and walkways in our South Minneapolis home’s backyard. Two years later, when damage occurred due to a fence installation, the team returned to make repairs and charged a VERY affordable price to do so. We’ll continue to use them for our hardscape needs. We were more than happy to support a locally owned small business and even more pleased with the quality of work and responsiveness of the team.” – Gina R.
Brandon Serpette, the owner of 3 Bears Landscaping, generously gave us a few minutes of his time to tell us a little bit about his award-winning business and its impressive online reputation. “[Our clients] choose us because we’re a local landscaping provider. We tend to buy our products within the region, and we have a 100-percent satisfaction guarantee. [Our clients know that, with us,] their project will be installed professionally. Brandon attributes 3 Bears Landscaping’s strong online reputation to their commitment to providing good customer service and good quality work. He also told us that they hire out a service that collects reviews for them. When asked how he’s grown 3 Bears Landscaping outside of building a powerful online reputation, Brandon told us that they really don’t market their business. Instead, they rely on referrals, repeat customers and reviews to get their name out there. Congratulations to the team at 3 Bears Landscaping for being a 2019 Top Rated Local award winner, and thank you so much, Brandon, for taking the time to speak with us! We highly recommend 3 Bears Landscaping. Visit their website today! 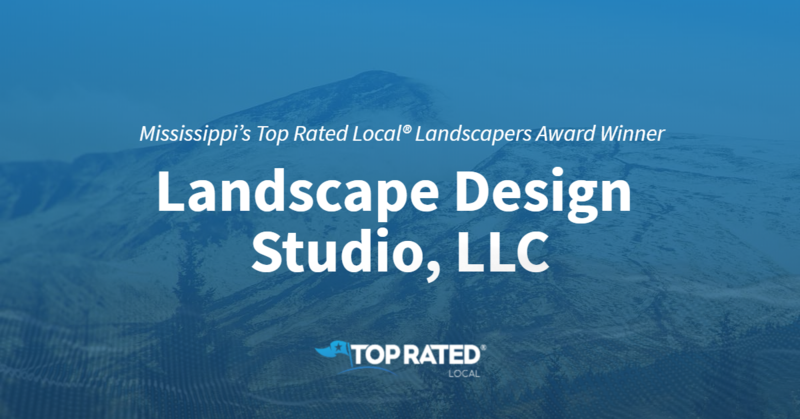 Top Rated Local® is pleased to announce that Landscape Design Studio, LLC is an award winner for landscapers in 2019. If you are looking for a quality landscaper in Ridgeland, Mississippi, look no further than this award-winning company! Landscape Design Studio, LLC has received many overwhelmingly positive reviews across multiple verified sites with an average rating of 5.00 stars, earning them an impressive Rating Score™ of 94.00 and a 2019 Top Rated Local award for ranking as one of the top three landscapers in Mississippi! “What a joy to work with Nelson and his team at Landscape Design Studios. Not only did they design a delightful cafe area for our plaza at Lost Rabbit, but they went above and beyond to install it as quickly as possible in the dead of winter! They are always extremely responsive to all my questions. The truly love what they do and are excellent at it. I cannot say enough. Besides working with them on our town center commercial needs, it was Nelson and his Landscape Design team I turned to help create the pool and landscape area for my personal home. I wholeheartedly endorse them!” – K.R. It is because of excellent reviews like this that Landscape Design Studio, LLC is now able to call themselves a Top Rated Local award winner! We were excited to learn all about how Landscape Design Studio, LLC has been able to build such an impressive reputation, so we sat down with the owner, Nelson Byrd. The first thing we wanted to know was what it is that makes Landscape Design Studio, LLC stand apart from their local competitors. Nelson told us that they never sugar-coat anything, and he feels that Landscape Design Studio, LLC does a great job at communicating with their clients. Nelson has a passion for working together with people. He wants to make sure that communicating and helping his clients is always an easy process. “[They were] very professional and creative. [They] did a wonderful job on our back yard! [I] loved working with Nelson and Jerry! [They] always made sure I was happy with every decision! [I] can’t wait to do the front yard [with them]. Thank y’all for everything!! We won’t use anyone else!! Y’all are the BEST!! !” – W.B. Congratulations to Landscape Design Studio, LLC for being a 2019 Top Rated Local award winner, and special thanks to Nelson for taking the time to speak with us! 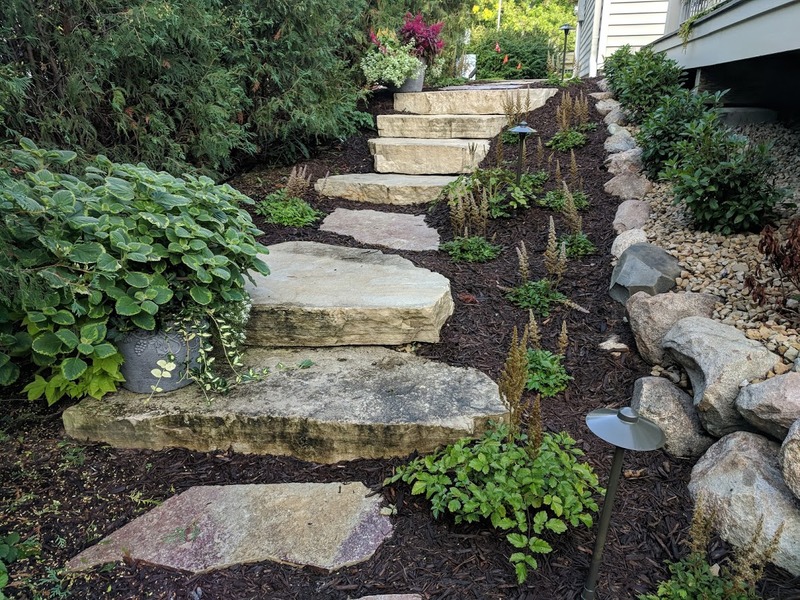 Minnesota’s Top Rated Local® Landscapers Award Winner: Beds & Borders Landscape Design, Inc.
Top Rated Local® is pleased to announce that Beds & Borders Landscape Design, Inc. is a 2019 award winner for landscapers in Minnesota! 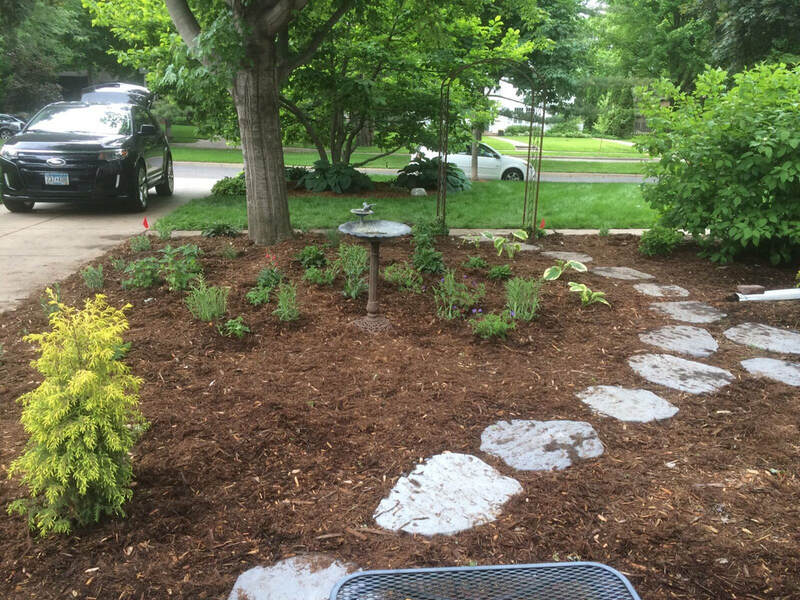 When you need landscaping expertise in Eden Prairie, Minnesota, you need Beds & Borders Landscape Design. Beds & Borders Landscape Design has received dozens of reviews on three verified sites with an average rating of 5.00 stars, earning them a remarkable Rating Score™ of 97.00 and a 2019 Top Rated Local award for ranking among the top 10 landscapers in all of Minnesota! “Andy and his team were wonderful to work with! They completed my project in one day, cleaned up and left everything looking great. I was really pleased with how it turned out. When I had an issue with the shrubs surviving in my high-clay soil, Andy advised me on what would be best suited to the soil and replaced my shrubs. It’s really refreshing to work with a company that stands behind its work and does exactly what they say they will do! I highly recommend them.” – Jennifer Y. We took a few minutes to talk with Andy Freeland, the owner/Lead Designer at Beds & Borders Landscape Design, to learn a little more about his one-of-a-kind landscaping company and its spectacular online reputation. Congratulations to the team at Beds & Borders Landscape Design, Inc. for being a 2019 Top Rated Local award winner, and thank you so much, Andy, for taking the time to speak with us! 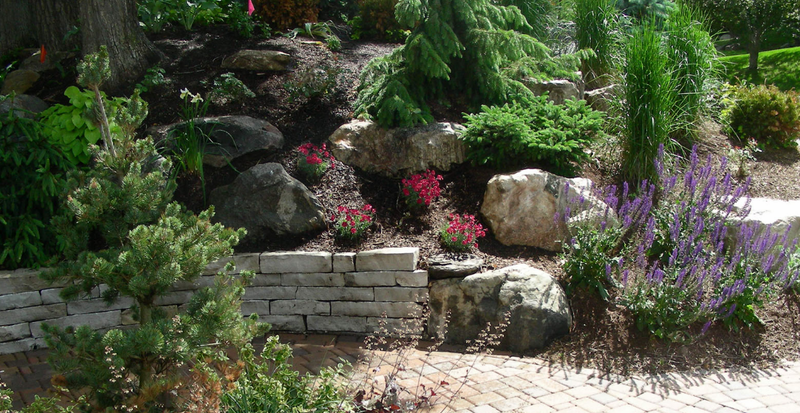 We highly recommend Beds & Borders Landscape Design, Inc. Visit their website today!